Acoustic Room Treatment, can start from as sinple a concept as using thick carpet and curtains, and go all the way up to whole-room modelling, adding Bass Traps, diffusing and absorbing panels to minimise the effect of the room on the perceived sound. The room resonances are usually an undesired element in a HiFi or Cinema system, and can have a dramatic effect on the listening experience. A little careful thought can make a big difference here, but if you want to go to town on it, a full computer modelled acoustic room treatment and design, with appropriately placed acoustic panels built into the decor, will not only help your HiFi or cinema system to sound fantastic, but will look great too. We like to work closely with interior designers architects and developers who want to incorporate sound systems within building and design projects, and are happy to offer advice and assistance. Come and review the acoustic room treatment options available to you at our showrooms. We’re able to create acoustic plans for a living space that reflects your tastes and lifestyle, and deliver superb audio performance. Selecting materials, textures and colours that will blend with your existing designs. 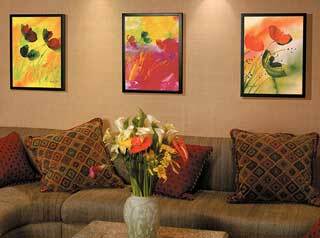 Integrating audio, video, lighting and home automation systems. Choosing the best performing equipment to surpass your expectations, based on your budget. We can provide you with a detailed proposal, designed around the experience and budget you want. The Acoustic Room Treatment can have a profound impact on the listening experience, both in terms of the raw acoustics of the room, but also on the aesthetics of the enviroment. We believe it has to look good as well as sound good. 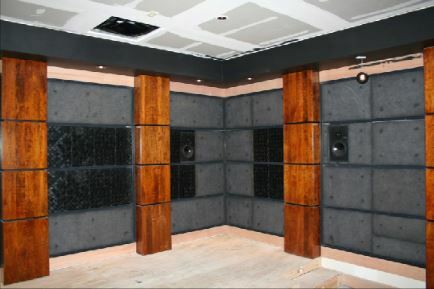 Come and see the effect of the acoustic room treatment in our showroom, and look at the wide range of finishes and styles available from the Cinematech Acoustic Room Systems (ARS) on our Home Cinema Designs page.